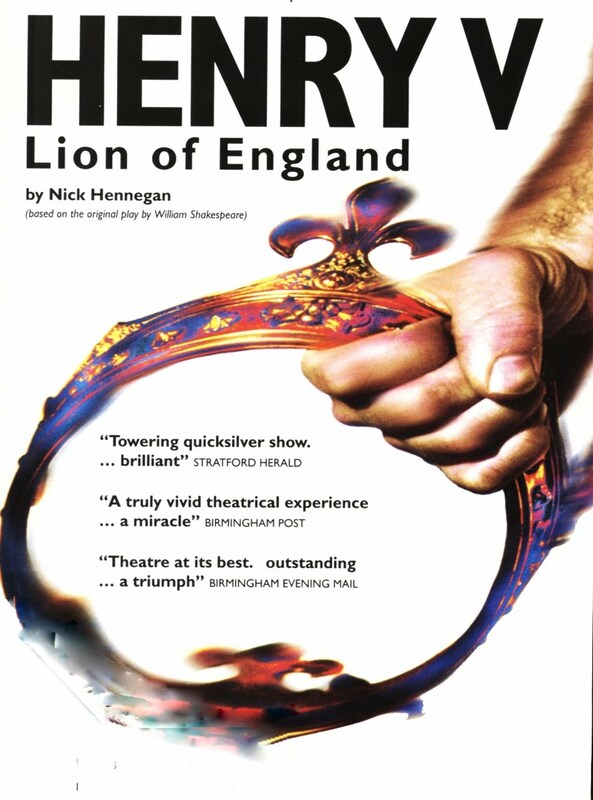 Henry V - Lion of England - Schools Tour. Arguably one of Shakespeare’s finest History Plays, this critically acclaimed, one-person adaptation features historical accuracy with much of Shakespeare’s original text. A spirited production combines an innovative recipe of one actor and a ‘supporting cast’ of lights, sound, special effects and an evocative and original live music score. The result is 70 minutes edge-of-the-seat excitement. Our Maverick Henry V workshop can accompany the show and delivers drama-based exercises relevant to National Curriculum KS3 and KS4 (content taught at an appropriate level to the pupils), with a focus on storytelling techniques, writing skills and teamwork. The most important focus for us at Maverick is to improve communication skills, confidence, co-ordination and understanding of key works of literature. All workshops will be led by either our Associate Director Katie Merritt, who achieved her MFA at East 15 Acting School, or actor Ed Morris, who has just finished a summer of school workshops with the Royal Shakespeare Company. In addition to this, we can also provide the Maverick Henry V Education Pack which serves as a guide to teachers to continue to explore and develop the play and relevant associated literature, through practical drama-based activities in the classroom with key references to National Curriculum specifications. maverick is a Registered Charity No. 1143050. Limited by Guarantee. Registered in England and Wales. Company No 6367900. 12 Fouberts Place, Carnaby Street, London W1F 7PA.